Outstanding heliophysicist and climatologist of 20-th century Theodor Landscheidt was born in 1927 in Bremen, Germany, studied philosophy, languages (English, French, Italian and Spanish, he spoke a little Russian), jurisprudence, astronomy and natural sciences, and after graduation from Göttingen University in 1955, has done independent interdisciplinary work including nature of solar activity, the solar - terrestrial relations, geophysics, climatology and research of solar cycles, long-range forecasts of energetic solar erruptions, strong geomagnetic storms, drought periods, maxima and minima in global temperature anomalies, ENSO events, climate trends. His studies cover the long-term forecast to solar activity, strong geomagnetic storms, drought periods, minima and maxima in global temperature anomalies, climatic change. Since 1974 Theodor Landscheidt has made long-range forecasts of precisely defined classes of energetic X-ray flares and strong geomagnetic storms. 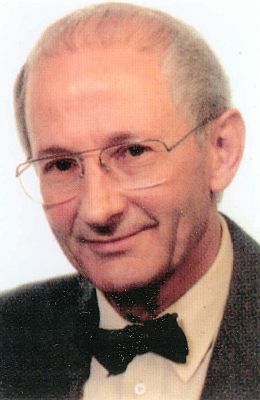 In 1983 he founded the Schröter Institute for Research in Cycles of Solar Activity in Lilienthal, near Bremen where Schröter had erected the greatest astronomical observatory on the continent and assisted by Olbers and Bessel, organized the search for the missing planet between Mars and Jupiter. He personally financed the research work of his institute. He was 50 years ahead of his time. A forecast experiment covering the period 1979 - 1985 was checked by the Space Environment Center, Boulder, Colorado, and the astronomers Gleissberg, Wohl, and Pfleiderer. The forecasts reached a hit rate of 90 % even though solar eruptions occur at very irregular intervals. A forecast in 1984 that the sunspot activity would get weaker past 1990 also turned out to be correct. The current 23-th sunspot cycle reached only mean level - although a panel of experts had predicted a sunspot maximum as high as in the preceding cycles.Dependable forecasts of the Sun's activity, based on solar cycles, made it possible for Landscheidt to correctly predict climatic phenomena years ahead of these events. His forecasts include the end of the great Sahelian drought; as well as a period of drought in the U.S.A. around 1999 , confirmed by a maximum in the Palmer Drought Index; the last five extrema in global temperature anomalies; the last three El Niños; and the course of the last La Niña. Extreme River Po discharges, beginning in October 2000, were predicted 7 months before the event. Elected member of the American Geophysical Union, the New York Academy of Sciences, the European Science and Environment Forum, the European Academy of Environmental Affairs, and the Wittheit zu Bremen. Director of the International Committee for Research in Environmental Factors of Brussels University. In 1992 recipient of the. Award of the Edward R. Dewey Institute of Cycle Research, California, in recognition of "outstanding accomplishments in the field of Solar Cycle Research", and for "many contributions to the study of solar-terrestrial cycles." According to an offer of the group of geophysicists-climatologs from different countries the period of minimum of solar activity forecasted by Dr. Landscheidt around 2030 will be identified as "Landscheidt Minimum". Engaged prediction of solar activity Theodor Landscheidt has found unknown before him precise reason of solar activity and its "trigger" nature and has formulated mathematically the behavior of planetary influence on solar activity. He has pointed on insufficiency of the theory of solar core and made conclusion, that exactly the processes in solar core determine parameters of solar activity. Till now vulgar materialists, the official science refuse in rights for existence of astrology as a science. Naturally, official science being obscurantly closed (please remain Gödel Theorem about incompleteness) prefers to consider that unexplained things simplly does not exist. The astrology, just as modern medicine operates with symptomatic data, howewer does not claim, as against medicine, on the knowledge of reasons of discovered symptomatic phenomena and relations. It allows to use logically and causally unexplaned information. Astrology gives us to leave out of limits of explained things, submiting powerful toolkit of forecast. Dr. Landscheidt was the bright intellect who has understood the great capability of astrology and has made very much for introduction of methods of astrology in scientific researches, for developing modern methods of astrology, particular in the field of its computerization. Theodor Landscheidt has written the book about his mystical experience "Wir sind Kinder des Lichts" ("Children of the Cosmic Light"), which printed on german. Being absolutely healthy and full life power at his 77, working till 23-00 every day, he unexpectedly deceased from influenza consequences. Dr. Landscheidt was buried at the oldest cemetry in Innsbrück, Tyrol, Austria. WEB-master is grateful to Frau Landscheidt and colleagues - ecologists from Austria, Germany, Finland, USA and Australia for photographs and papers of Dr. Landscheidt.